1. Jacobus Petrus "Koos" Bekker was born in Potchefstroom (North West) on 14 December 1952. 2. He is the Chairperson of Naspers, the largest media company outside of the US and China. 3. 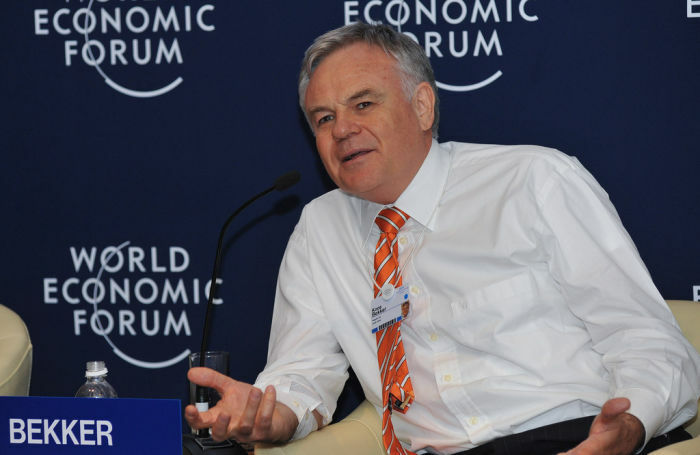 Koos Bekker has law degrees from the University of Stellenbosch (USB) and the University of the Witwatersrand (Wits) and a degree in literature from USB. He graduated with an MBA from Columbia Business School in 1984. 4. Bekker cofounded M-Net/MultiChoice in 1985, the first pay television service outside of the US. 5. He was also a founding Director, in 1994, of MTN. 6. Bekker became the Naspers CEO in 1997. 7. For 15 years at Naspers he earned no salary, bonus or perks, and was compensated solely through stock option grants that vested over time. 8. Bekker shot to worldwide fame after betting a mere $32 million on then start-up Tencent. Today Naspers owns 34% of Tencent, the fifth largest company in the world. 9. Koos Bekker’s Babylonstoren estate, near Stellenbosch, is a popular tourist attraction. It features signage in Chinese and Afrikaans. 10. Bekker is the 11th wealthiest African, according to Forbes. Bruce Whitfield plays a clip in which former Communications Minister Yunus Carrim rips into Koos Bekker.